Thank you, all, for your support of the PPL Business Energy Efficiency Program. With your participation in 2018, we collectively saved 192,549,082.5 kWh and paid $12,178,212.66 in incentives. Let's keep up the good work! Classic Drycleaners and Laundromats was the lucky recipient of a complimentary billboard to help promote their energy efficiency. Thank you to Leer Electric and Dauphin Electric for helping them with their lighting upgrades. The billboard will run on I-83 near exit 44A in Harrisburg through mid-February. Please make sure you’re using the most recent version (4.1) of the Assessment Tool. This can be found on the Resources for Direct Discount Contractors web page. In the application portal, remember to add the equipment type in the measure summary. Submitting all required documents correctly the first time speeds up the application process. A distributor invoice related to each project is required as part of your final documentation submission. Electronic signatures should not be used on the Contract Agreement or Printable Report. Pre-approval can take up to 15 business days when submitted in good order. Projects that are not submitted in good order may be delayed. All projects are eligible for pre- and/or post-onsite verifications. Contractor Training — The next Direct Discount contractor training will take place on February 20, 2019, at 4 p.m. EST. Program Materials — New flyers reflecting changes to lumen ranges and incentive amounts can be downloaded from the PPC Portal Information page. Hard copies are available upon request and will be provided on store visits. A revised pre-approval form for projects with greater than $1,800 in rebates is also available for download and immediate use on the PPC Portal. How's Your In-Store Awareness? — Please assess your PPL displays and signage. If you need refreshed material, please contact Bud Fogleman for a full list of materials available to support you. Kevin has recently joined our team as Account Manager. 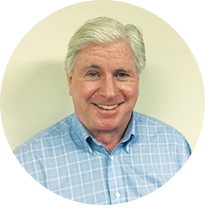 Kevin brings a strong background in the energy efficiency industry, having worked in sales development at Johnson Controls and Siemens. He will support our program in the Education (K-12, college, and university) and state government sectors. Contact Kevin. Thank you to our contractor recognition award winners for December. Please share your success on your social media profiles and be sure to tag PPL Electric Utilities. Please do not reply to this automated email. This mailbox is not monitored. Update your email address or unsubscribe from these messages. This does not change the email address for your PPL Electric Utilities online account.